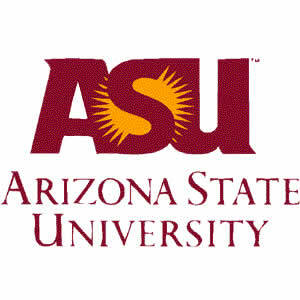 The School for the Future of Innovation in Society (SFIS) at Arizona State University invites applications for a POSTDOCTORAL RESEARCH ASSOCIATE in the societal aspects of new digital technologies. Start date is flexible, with first anticipated start date 2 January 2018. The postdoctoral research associate is expected to collaborate closely with the Ira A. Fulton Schools of Engineering (FSE) in a study of the use of new digital devices by FSE students in their dorms. S/he should also have a scholarly agenda beyond this assignment that complements the ongoing scholarship, education and engagement activities performed at SFIS and its companion Institute for the Future of Innovation in Society. The fellowship is available for one year and renewable for up to one additional year, contingent upon satisfactory performance, availability of funding, and the needs of the university. Required qualifications for the post-doctoral fellowship include: a doctorate in science and technology studies (STS), anthropology, or a related area by the time of appointment; demonstrated skills in conducting ethnography of people’s interactions with technologies, particularly digital devices; interest in the societal aspects of scientific and technological advance in general and emerging technologies and publics in particular; and evidence of high achievement in research. Applicants must be within five years of receipt of their doctoral degree to be considered eligible for this position. Desired qualifications include interest and/or experience in: working in cross-disciplinary teams including scientists, engineers, social scientists, humanists and artists; public engagement and deliberation activities; evident teaching skills, particularly in an online environment. To apply, please submit as one pdf document a detailed letter of application stating qualifications, experience, research plans, and teaching interests; curriculum vitae; and the names and contact information of three references to: Lorri Gums (lorri.gums@asu.edu). Initial review of applications will begin on Friday December 1, 2017 and continue every week thereafter until the search is closed. A background check is required for employment. As the newest element of ASU’s approach to building a “New American University”, SFIS (sfis.asu.edu) provides robust opportunities for intellectual fusion, use-inspired research, and global engagement via ongoing projects and centers. SFIS hosts a variety of degrees including a Ph.D. in Human and Social Dimensions of Science and Technology, a Master of Science and Technology Policy, and a Master of Science in Global Technology and Development, as well as an undergraduate major, minor and certificate in Innovation in Society. Research is coordinated through the Institute for the Future of Innovation in Society (ifis.asu.edu). Arizona State University is a new model for American higher education, an unprecedented combination of academic excellence, entrepreneurial energy and broad access. This New American University is a single, unified institution comprising four differentiated campuses positively impacting the economic, social, cultural, and environmental health of the communities it serves. Its research is inspired by real world application blurring the boundaries that traditionally separate academic disciplines. ASU serves more than 70,000 students in metropolitan Phoenix, Arizona, the nation’s sixth largest city. ASU champions intellectual and cultural diversity, and welcomes students from all fifty states and more than one hundred nations across the globe.